This article originally appeared in the Jan. 21, 2019 issue of SpaceNews magazine. At the largest conference of astronomers in the United States, the biggest astronomy mission under development was virtually a no-show. The partial government shutdown that started Dec. 22 kept NASA civil servants from attending the winter meeting of the American Astronomical Society (AAS) in Seattle in early January. That included those officials managing the James Webb Space Telescope, a mission treated by many astronomers with both anticipation and trepidation: the former because of its scientific potential, the latter because of its latest round of cost overruns and schedule delays. The absence of the space agency meant the cancelation of one town hall meeting devoted overall NASA astrophysics programs and another on JWST in particular. Northrop Grumman, the telescope’s prime contractor, also kept a low profile at the conference; in a break with past years, it declined requests for interviews with company officials to talk about the status of the telescope. But the absence of evidence for JWST at the AAS meeting was not evidence of absence of progress on the mission, even amid the shutdown. “Work on JWST at Northrop Grumman and at Space Telescope continues despite the government shutdown,” said Ken Sembach, director of the Space Telescope Science Institute (STScI), during a Jan. 7 town hall meeting at the conference about his institute. He reported that JWST’s spacecraft element had just successfully completed one set of vibration tests. Astronomers feared that, because of the delays, JWST might not make it into space until after the Hubble Space Telescope reached the end of its life. Hubble, launched in 1990, was last serviced in 2009 and has had some recent problems, such as a gyro failure that took the telescope offline for three weeks in October and a problem with the Wide Field Camera 3 instrument for about a week in early January. Hubble managers, though, are optimistic Hubble will operate well after JWST’s launch. Tom Brown, Hubble mission manager at STScI, said during an AAS conference session that engineering analyses of Hubble’s instruments and its major subsystems suggest they should keep working through at least 2025. “We expect Hubble to continue being a uniquely powerful observatory well into the 2020s,” he said. Astronomers’ bigger worry is about the long-term future of space-based astronomy. The next big astrophysics mission after JWST is the Wide-Field Infrared Survey Telescope (WFIRST), slated for launch in the mid-2020s, just a few years after JWST. But WFIRST is more of a complement to JWST, with different capabilities, than a successor. However, even if the decadal survey recommends one of those proposed space telescopes, and NASA concurs, it isn’t expected to be in space before the mid-2030s, given NASA’s budgets and schedules. JWST, though, has only a five-year primary mission. While astronomers expect it to operate for at least a decade, there’s no ability to repair it should something break down or even refuel its stationkeeping thrusters. Moreover, there’s skepticism that the selected mission will actually be ready by the mid-2030s. Those working on the concept studies have argued they’re doing a more thorough job than their predecessors, tackling potential issues early on. Yet some astronomers expect that inevitable problems will delay its launch. A solution to that future space telescope gap may come from the ground. A new generation of what are known as extremely large telescopes, or ELTs, are under development and expected to enter service in the 2020s. With mirrors of between 25 and 40 meters in diameter, they’re far larger than anything foreseen for space for decades. Even with the limitations of operating on the ground, like weather and atmospheric distortions, they have capabilities that will be unmatched for years. She was referring to two of those large ELTs being developed: the Giant Magellan Telescope in Chile and the Thirty Meter Telescope in Hawaii. 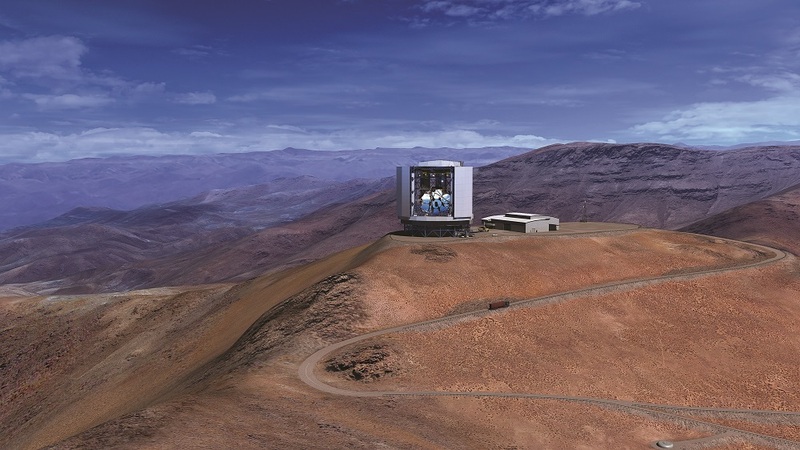 GMT will combine seven large mirrors to form a primary mirror 24.5 meters across. 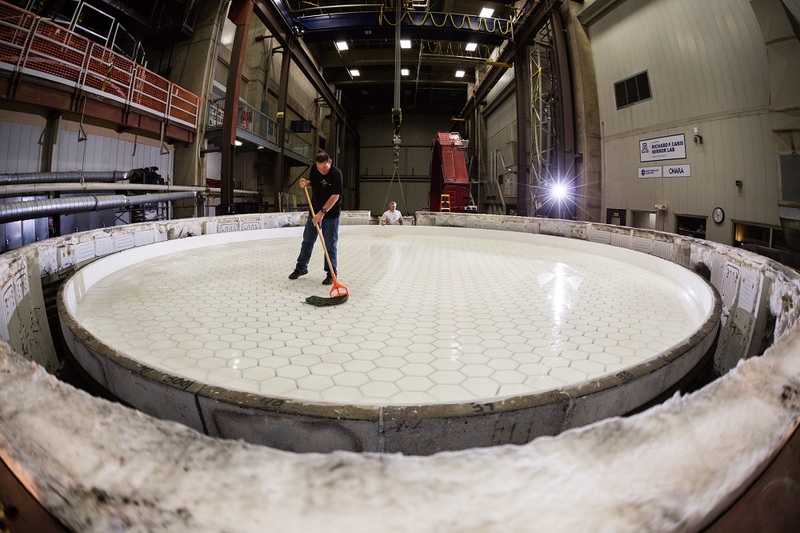 TMT will use nearly 500 small mirror segments to create a primary mirror, as its name indicates, 30 meters in diameter. The observatory site for GMT, at Las Campanas Peak in Chile, is taking shape, and its seven mirrors are in various stages of production in an Arizona lab. Work on TMT has been hindered by legal disputes about building the telescope on Hawaii’s Mauna Kea, but project officials are hopeful, with a ruling last fall in its favor by the Hawaii Supreme Court, they will be able to start construction as soon as this spring. A problem for many astronomers, though, is that GMT and TMT are being developed not by government agencies but by consortia of universities and nonprofit organizations. Astronomers who are not part of the consortia won’t be able to use them. That’s why, at the AAS meeting, there was a concerted push for what’s called the U.S. ELT Program, a proposal to provide those two observatories with federal funding in exchange for open access to any American astronomer, just like NASA-operated space telescopes. 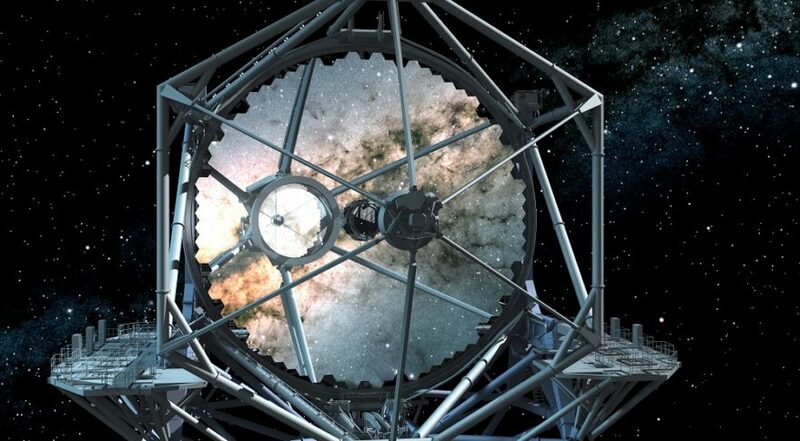 A specific proposal for the program called for a combined $1 billion in National Science Foundation funding for GMT and TMT, in exchange for 25 percent of the observing time on each. “This sounds like a big number, but this is consistent with investments the NSF has made in the last decade, the last 15 years, for major scientific facilities,” said David Silva, director of the National Optical Astronomy Observatory, which operates several telescopes. He added that a National Academies study on exoplanet science last year recommended the NSF invest in the two observatories. The expectation is that the NSF will provide the $1 billion, a process that could take several years and will likely require lobbying to increase the NSF’s overall budget. Astronomers like MIT’s Crossfield, though, argued that NASA could chip in as well. He suggested NASA could fund instruments for either or both of those observatories, just as it did several years ago for an instrument at an observatory in Arizona. “That would be a very interesting path forward that would serve the United States’ exoplanet community,” he said. ELT advocates have no problem with NASA jumping on board. “We would welcome NASA investment in our giant machines,” said Silva when asked at an AAS session about the space agency contributing to the U.S. ELT Program. But, he added, no one from NASA could comment on the idea. Thanks to the shutdown, no one from NASA could attend.